Service cooling system (TM 55-1925-205-10). Figure 3. Air Box Drain Hose. Ensure that at 1200 RPM, pressure is 9 PSI (62 kPa). Ensure that at 1800 RPM, pressure is 16 PSI (110 kPa). Ensure that at 1950 RPM, pressure is 20 PSI (138 kPa). Shut off engine (TM 55-1925-205-10). Ensure engine is cool to touch. Drain cooling system (WP 0133). Figure 4. Manometer Installation and Removal. 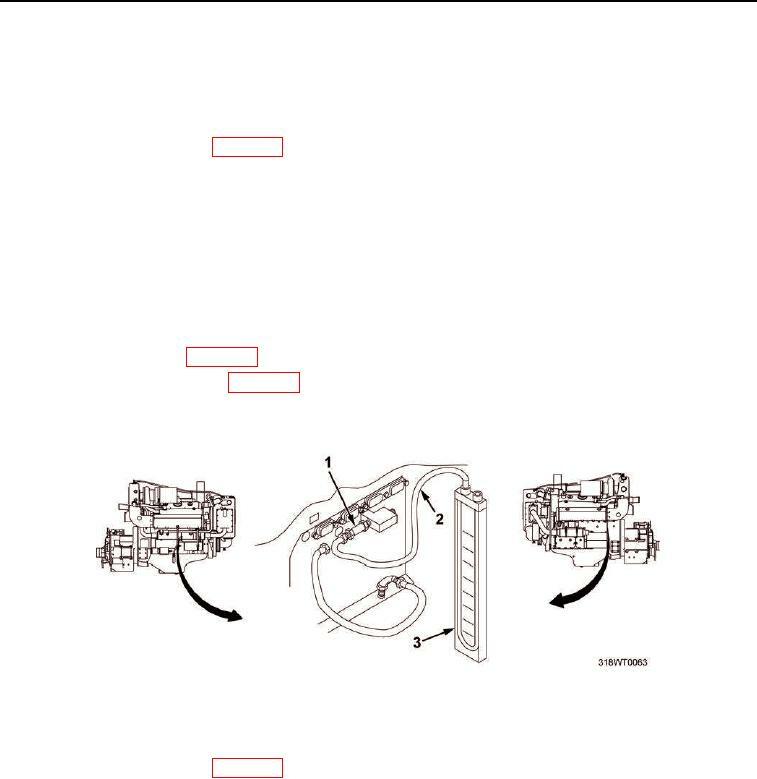 Connect air box drain hose (Figure 3, Item 2) to air box check valve (Figure 3, Item 1) and tighten fitting.